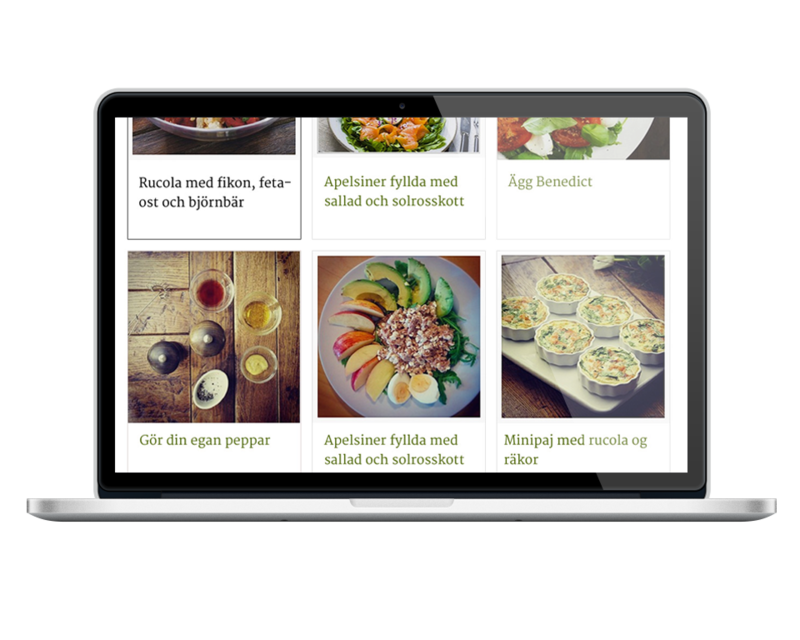 My name is Gösta Åbergh and I’m currently working as a Senior Visual Designer for a great Swedish company; Com Hem. 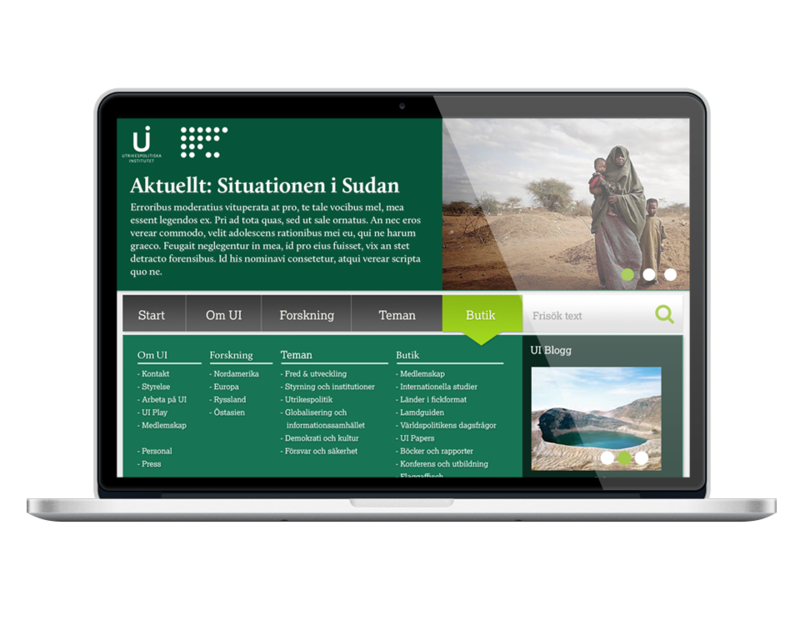 My main responsibilities there on a daily basis is to give life to the needs of our stakeholders and customers, to create, update and maintain its guidelines in all the digital channels, creating campaigns, support sale figures and to create support and help for our customers to get the best possible user experience. 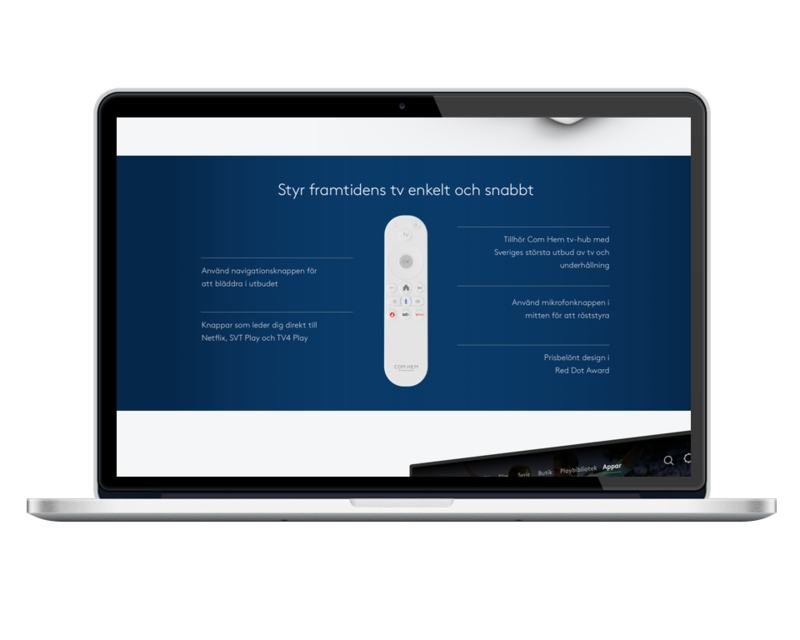 When I started my employment at Com Hem my role was to maintain the webpage comhem.se, this grew over the years to the contain the Boxer brand and Play services as well, more recently this has shifted more into a Product Designer roll, that means taking bigger responsibility of the UX-work, brand perspective and to keep the guidelines and communication consistent across product. 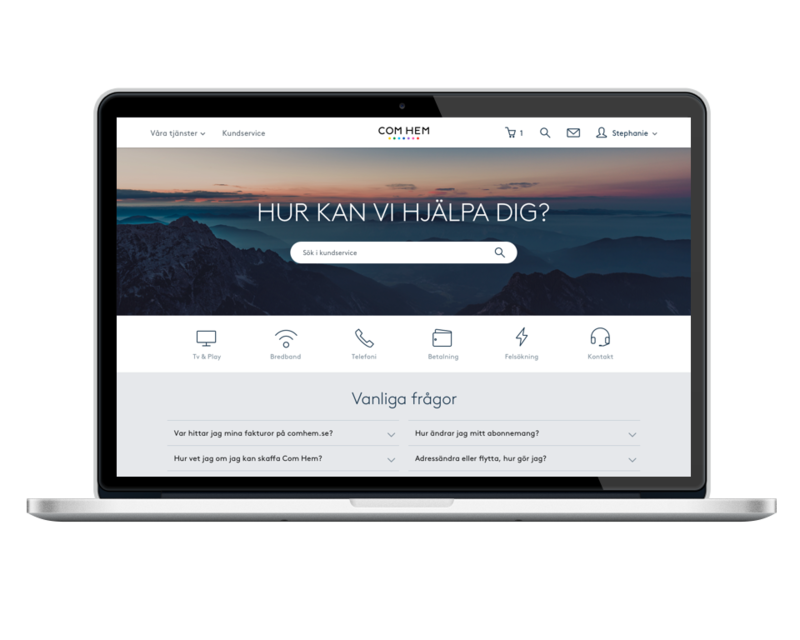 As a person I’m mostly very positive, solution oriented and a true teamworker that loves to work cross-functional in teams. 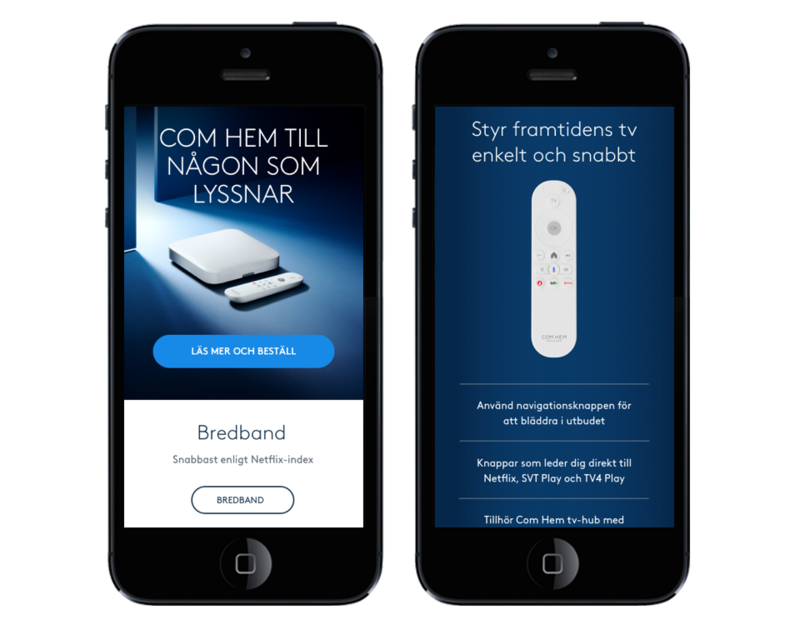 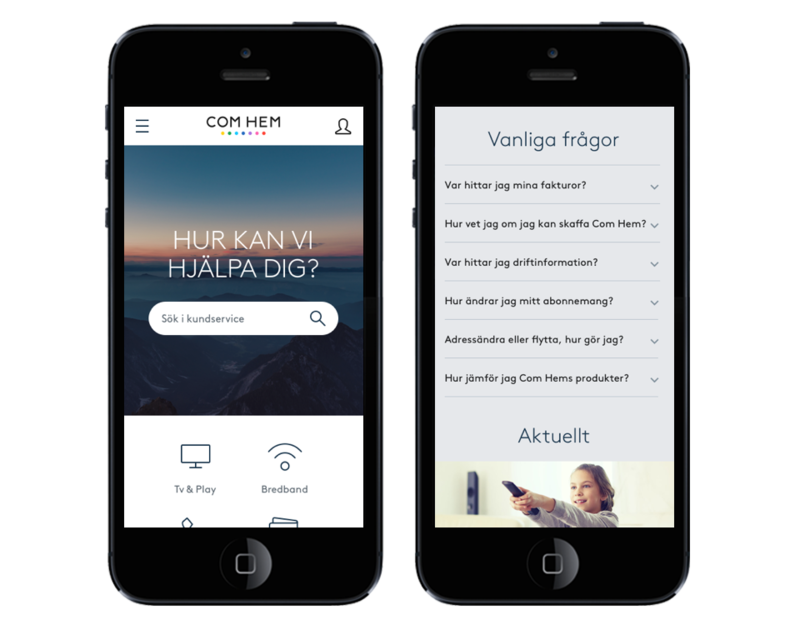 Com Hem is one of two main operators in the Swedish market of providing broadband, Tv, fixed and mobile telephony. 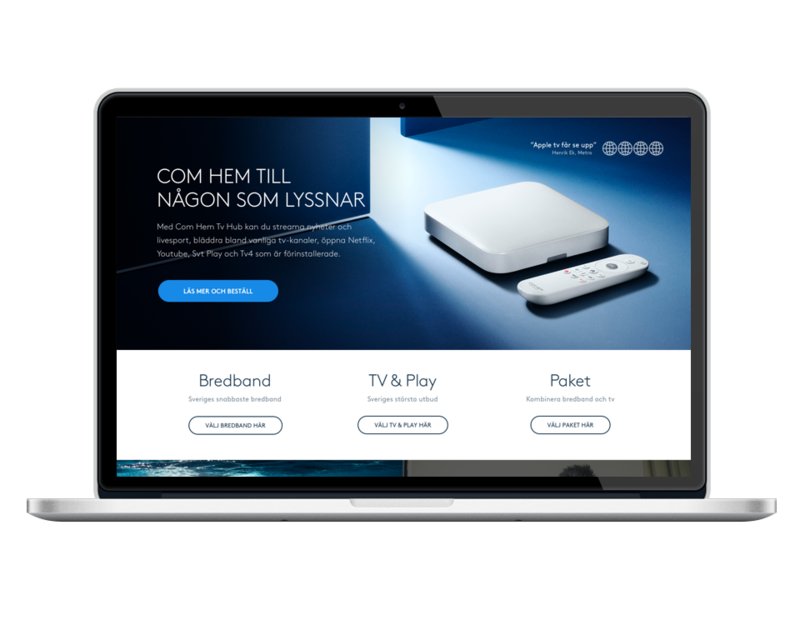 This is the visual take on the redesigned customer service pages and the campaign page for the Tv Hub. 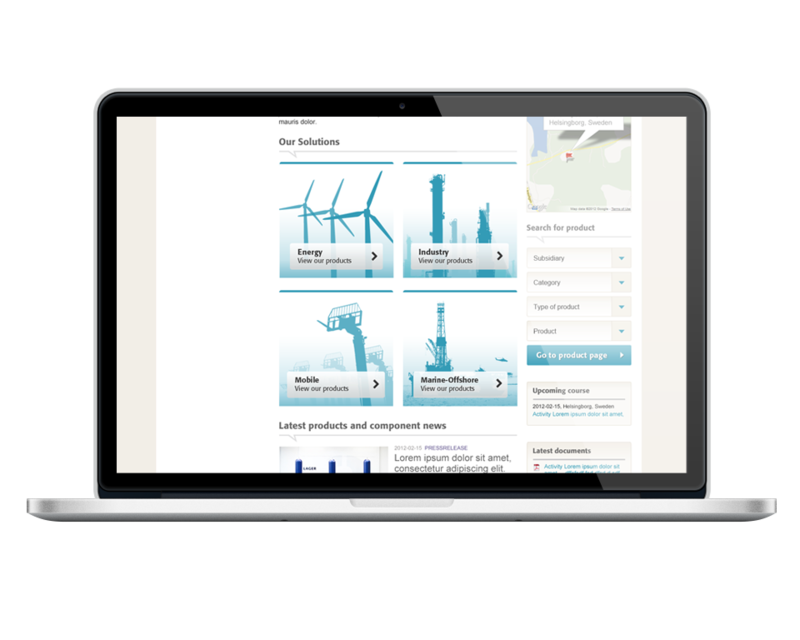 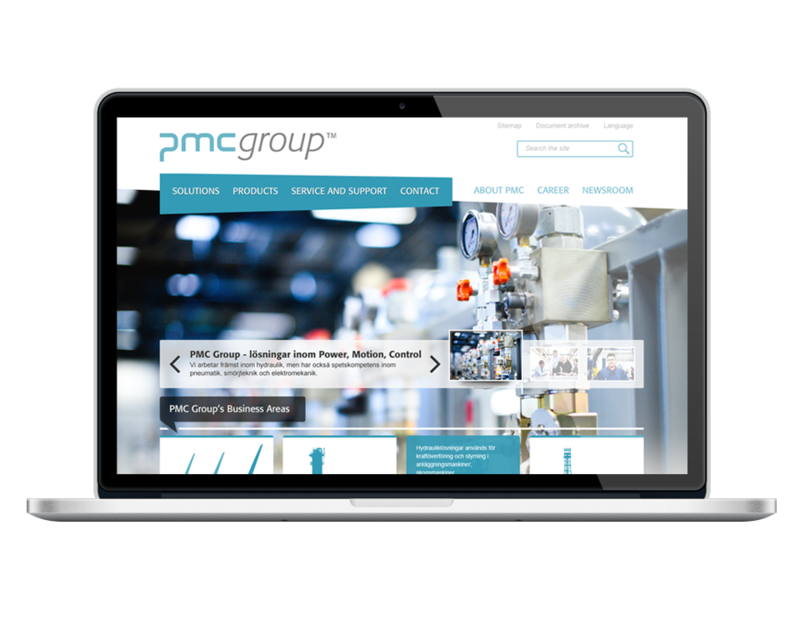 PMC is the leading provider of hydraulic solutions for industry in the Nordic region, their solutions include know-how in electromechanics, lubrication and pneumatics. 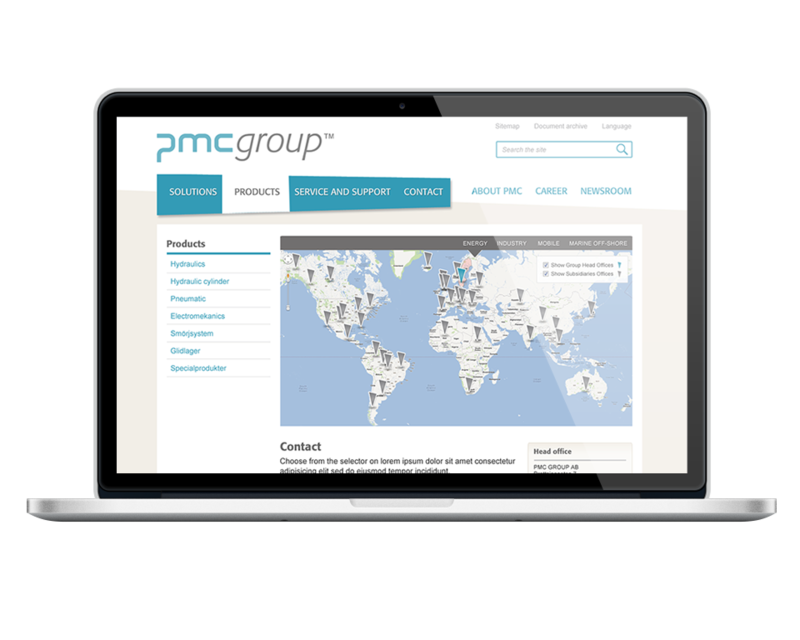 The project was to produce a new webpage for the PMC Group and to give their subsidiaries a natural space. 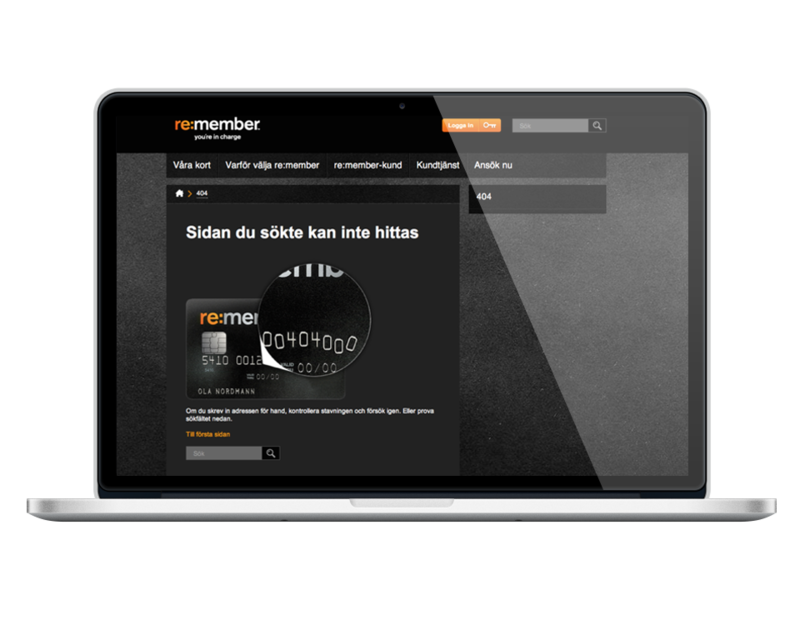 Re:member is a smart and flexible debit and credit card. 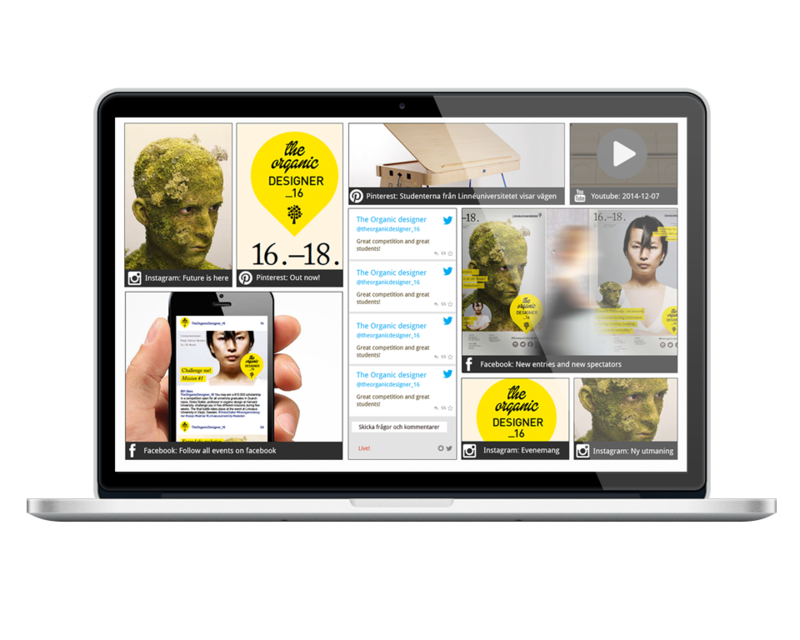 My work for Re:member involved the creation of a error page, so called ”404-page”. 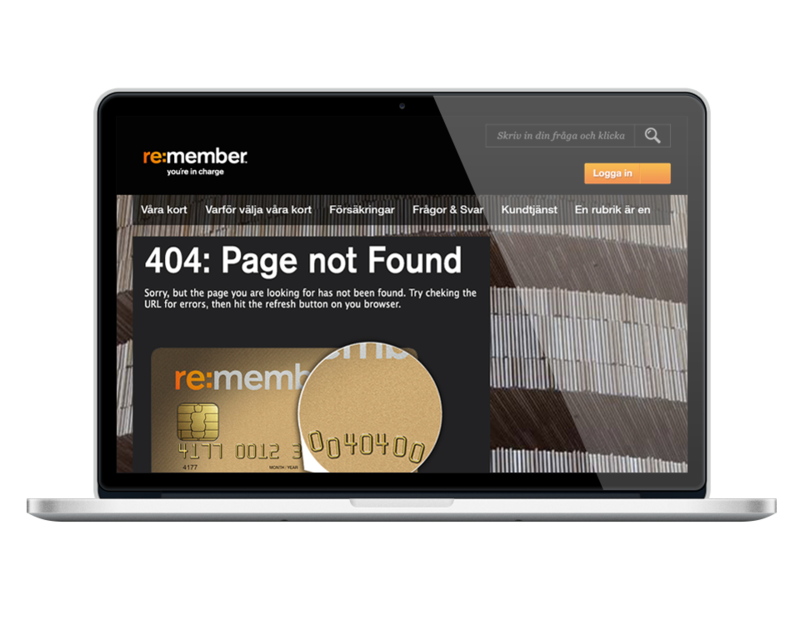 The concept behind the 404-page is to bring the marketing aspect of the Entercard-brand from the Re:member debit and credit card. 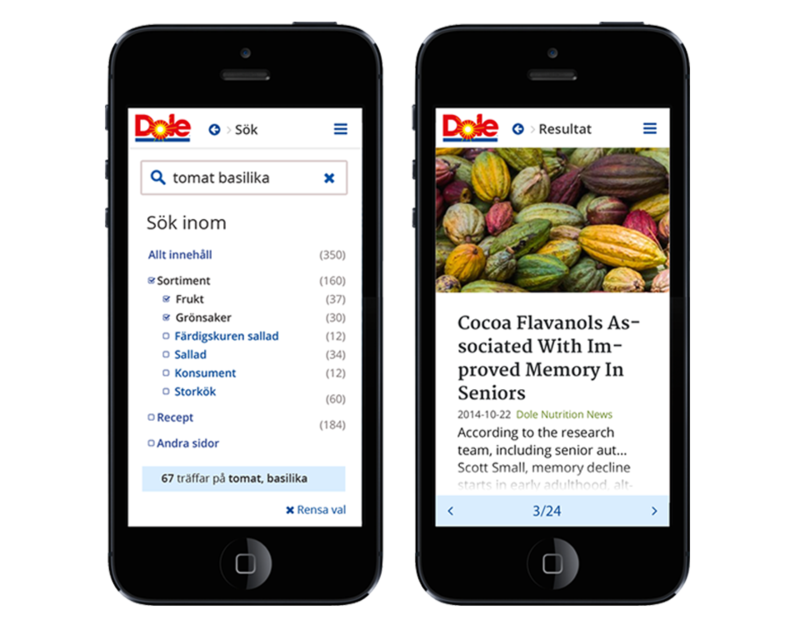 Dole is one of the leading importers and distributors of fruits, vegetables and flowers in the Nordic region. 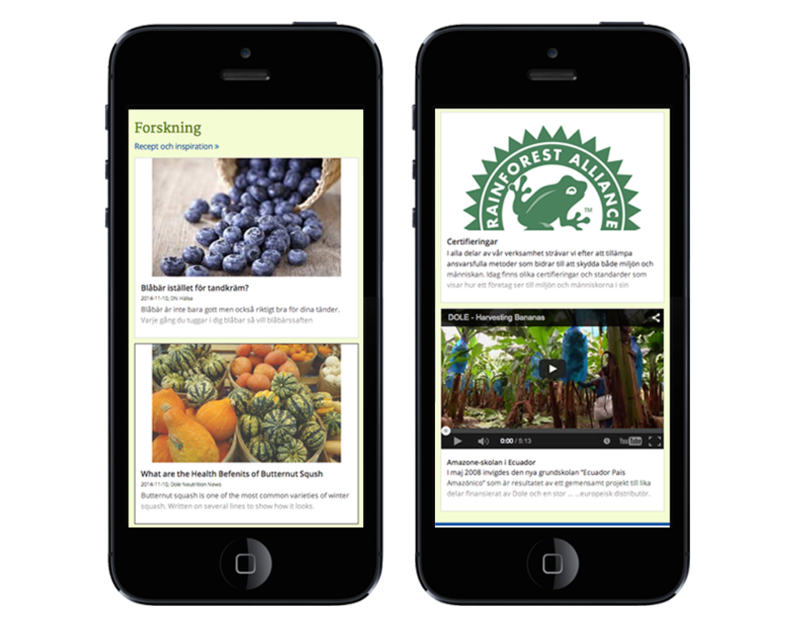 We sell more than bananas, we sell health! 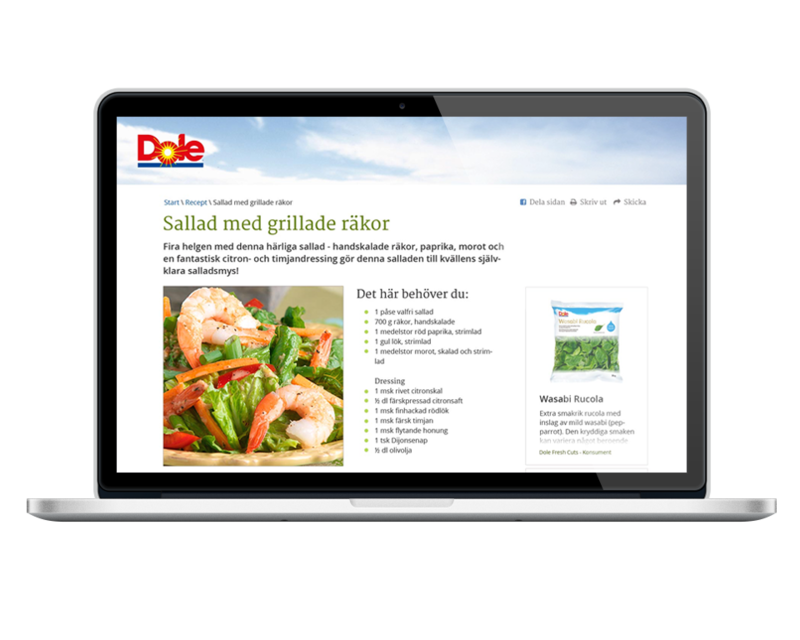 The project involved the creation a new webpage for Dole which contained the companies AB Banan-Kompaniet, Dole Fresh Cuts, Saba Blommor AB and Saba Frukt & Grönt AB under one roof. 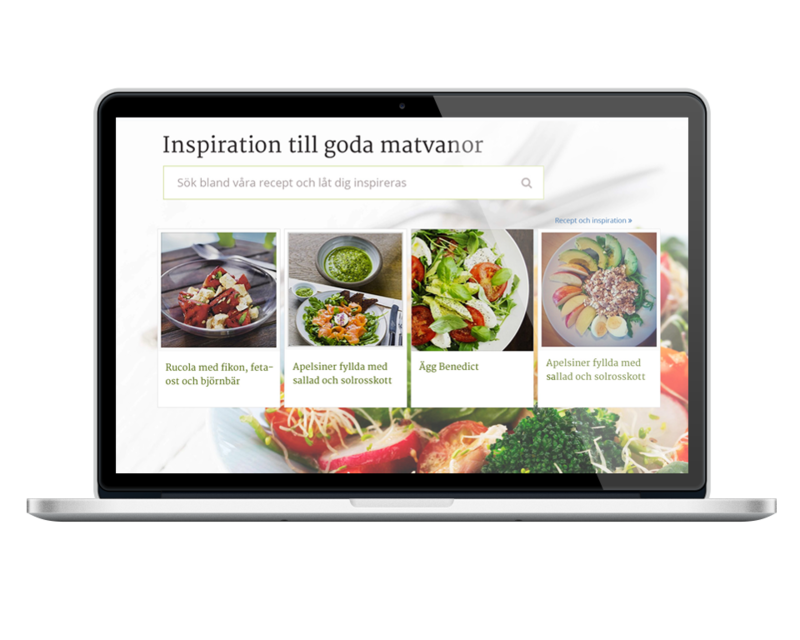 The work also included the strategic marketing change from a “B to B” to a “B to C” concept and communicating the brand in terms of nutrition and health rather than products. 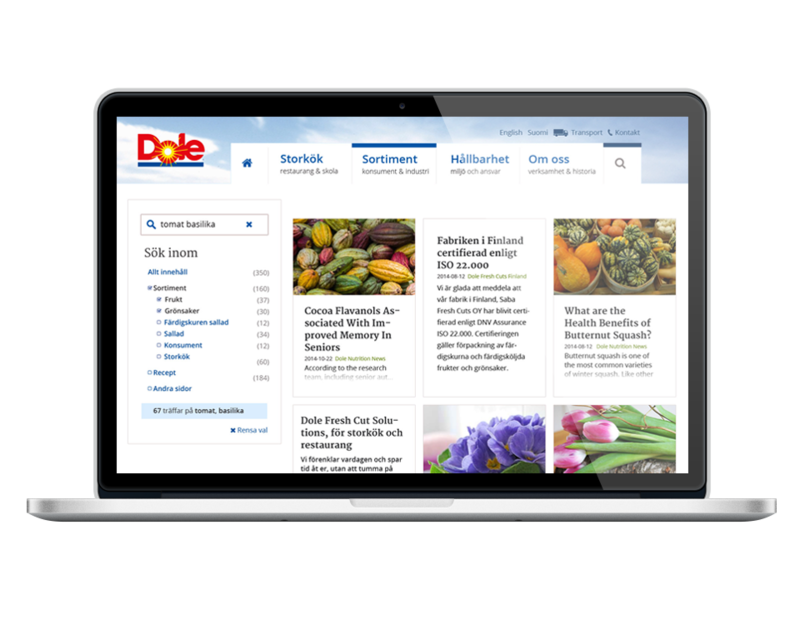 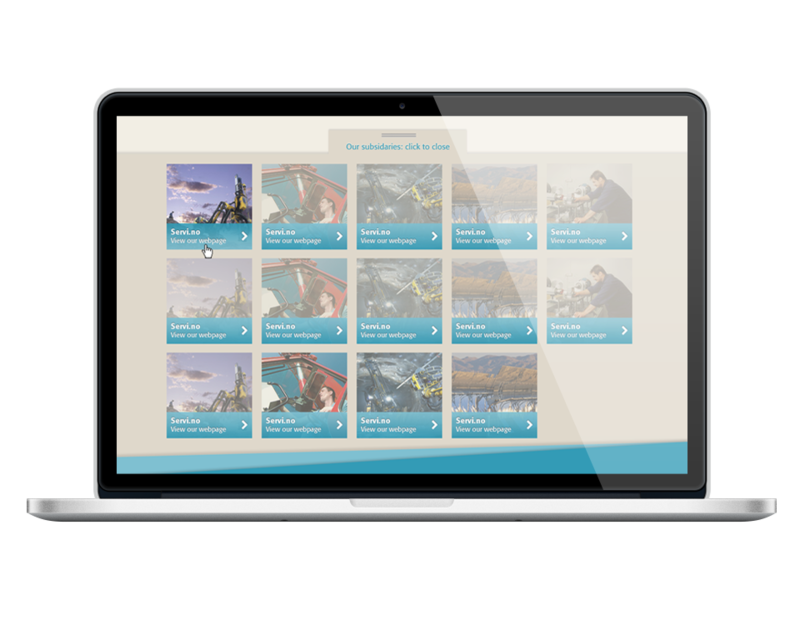 A new digital design manual was also created for Dole. 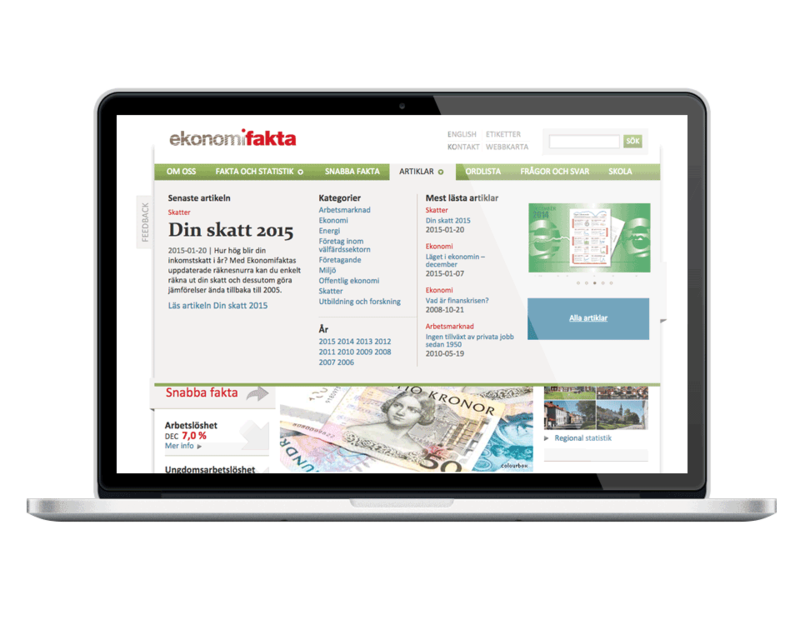 Ekonomifakta.se is a source of information that sparks discussions about the economic challenges and opportunities the Swedish economy faces. 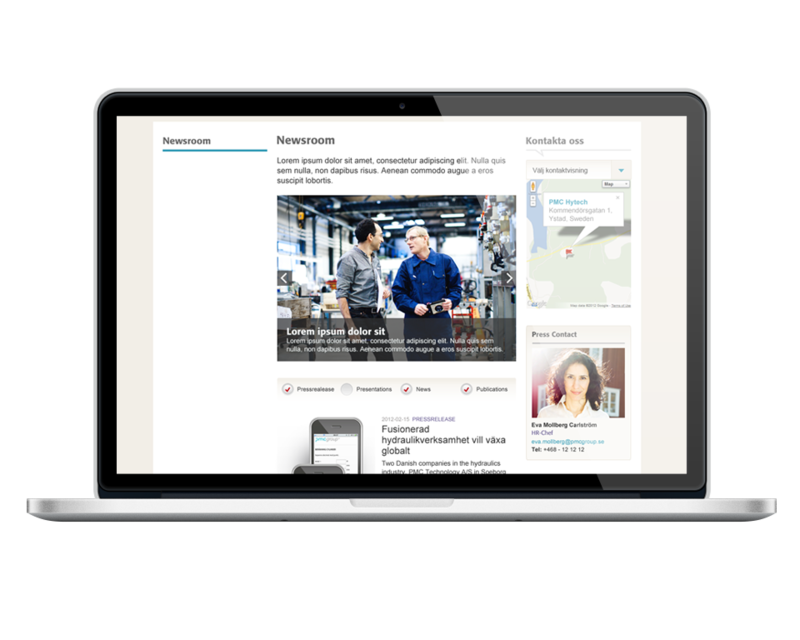 Näringslivets Ekonomifakta is part of the Confederation of Swedish Enterprise, a Swedish employers’ association. 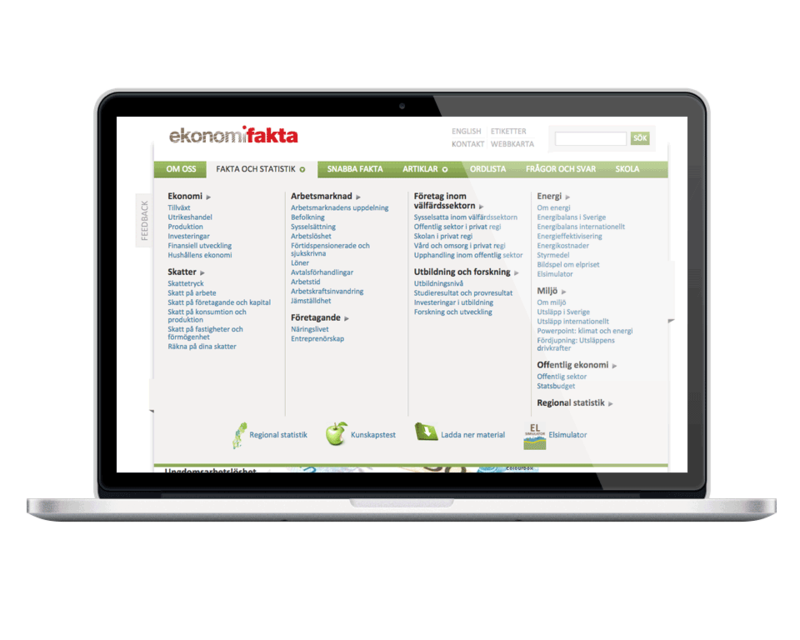 Ekonomifakta contacted me to change a deep structured navigation to an easy overview. 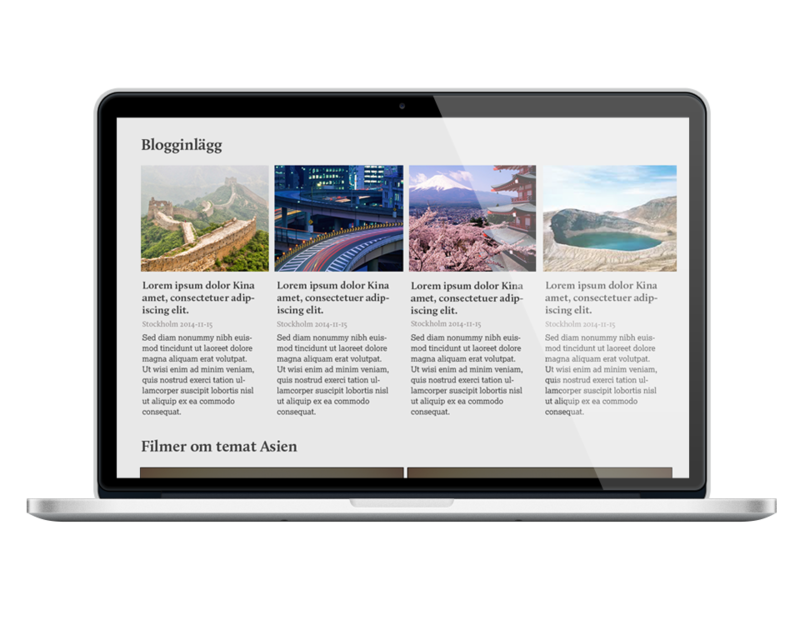 This was made by creating a mega menu for the client to chose shortcuts to nodes, articles, documents and data from using Google Analytics to lift current topics. 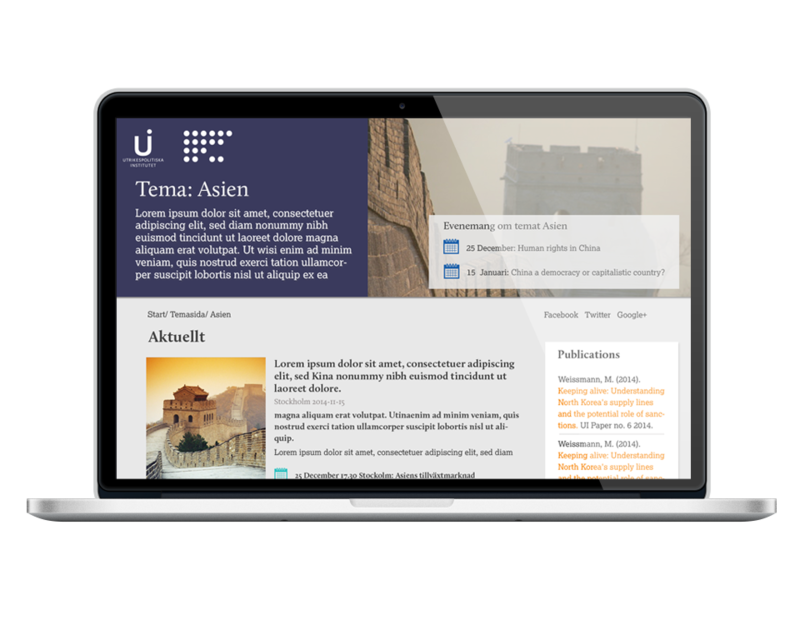 Linnaeus University is one of Sweden’s newest higher education institutions. 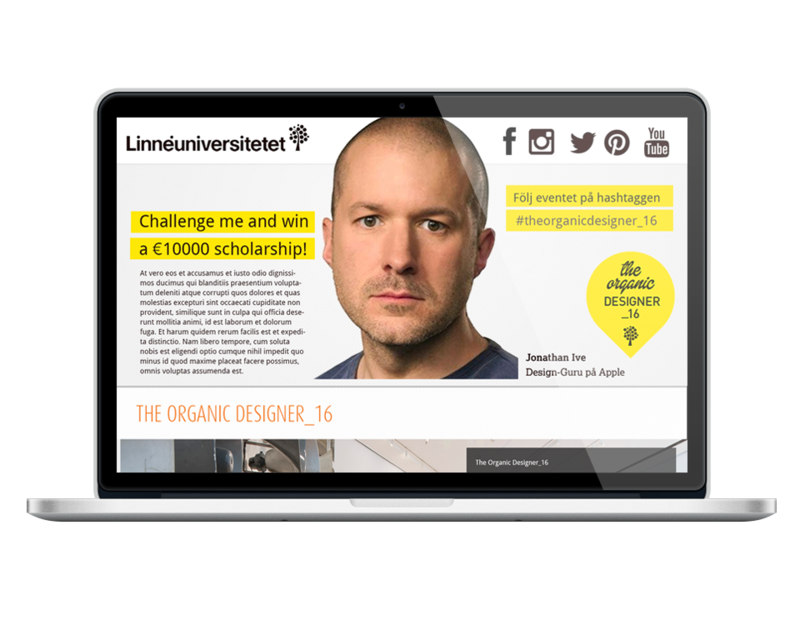 This is a imaginary campaign for The Linneaus University to create a social hub and rise the interest in studying at the university. 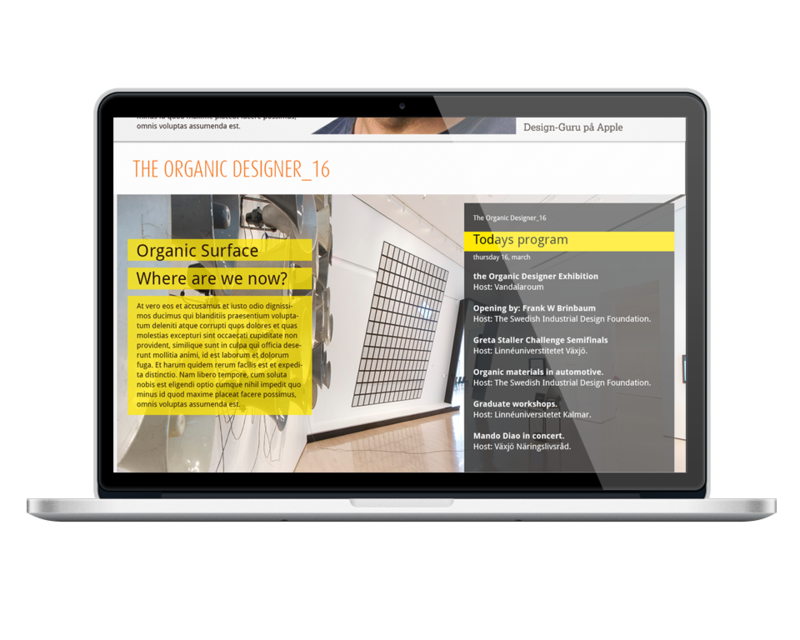 The concept is to create a social platform where students, industry and researcher compete and co-work in the theme of using organic materials: to engage a long-term exchange of competence. 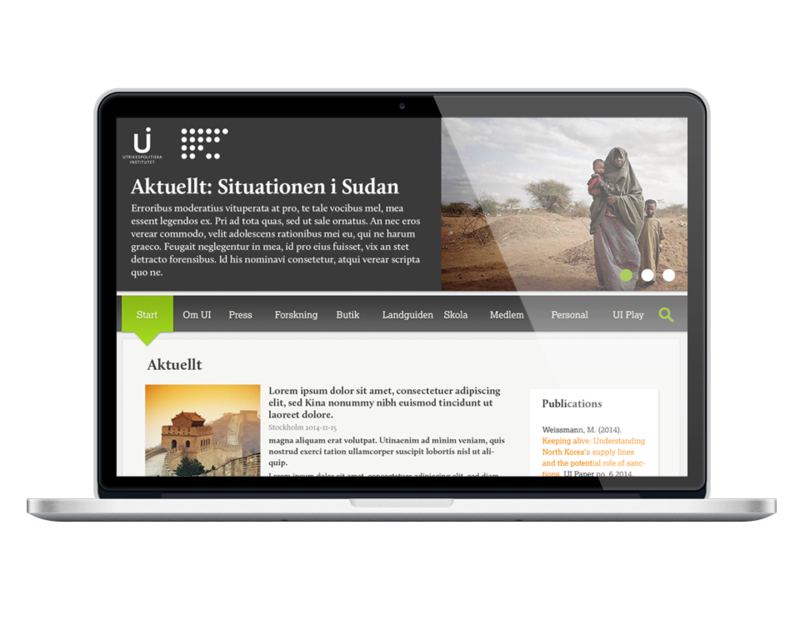 The Swedish Institute of International Affairs is an independent institute and a platform for research and information on foreign affairs and international relations. 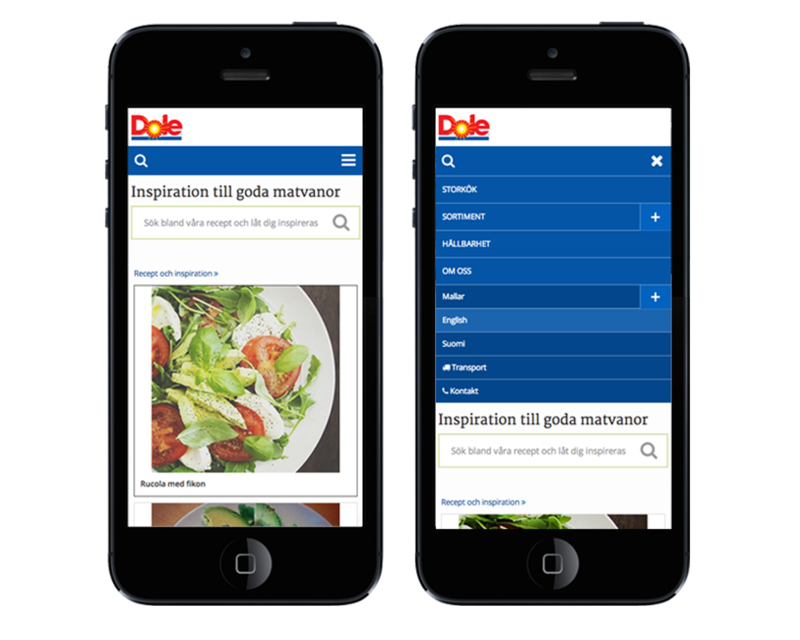 This is a proposal to the UI of how to restructure and rebrand their digital appearance.